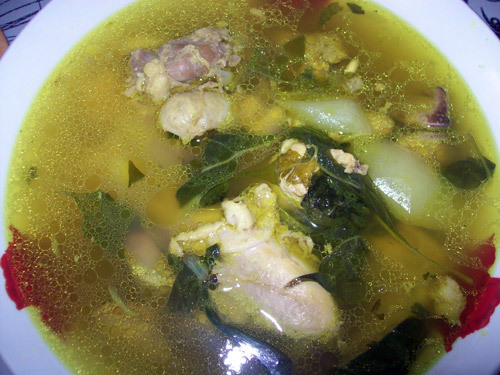 My Tinolang Manok sa Luyang Dilaw (Chicken Ginger Stew), a comfort food on a rainy day. Rainy season allows us to cozily stay indoors and relax for a bit. You can also satisfy your cravings by preparing a delicious meal that will favor the cold weather. You should know foods that are very simple and easy to serve like a classic macaroni and cheese that will truly comfort you. Soup is famous in this season as it brings warmth and delight like tomato soup with grilled cheese sandwich and French onion soup. You can also rely on stews and casserole like tuna noodle casserole and hearty stew. Pasta is also one of the easiest meals to prepare so consider them in your lists of rainy days meals. This entry was posted in All Year Round Food, Comfort Food and tagged comfort food, comfort food on a rainy day, Tinolang Manok on June 11, 2018 by Yami.